Ulus Group is founded in 1990 by Mr. Iskender Ulus in the heart of the music capital “Unkapani Plakcilar Carsisi”. The company started production in 1992. By 1994 "Ulus Müzik Sanayi A.Ş." was established by merging with “Midas Müzik” who owned by famous singer Belkis Akkale. 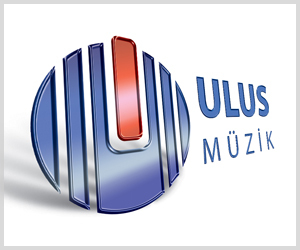 Ulus Group has different departments that very important for music industry such as Ulus Music Production, Ulus Film Production, MDM Recording Studios, Marka Distribution, Ulus Edition, Batu Artist Management, Funda Dundar Organization, International Turkish Classical Music Workshop. We also recently became “Exclusive Distributor” of TRT (Turkish Government Radio & Television) which has the biggest Turkish Music, Documentary Film and Written Music Archive in Turkiye. Our mission is introduce to the world the richness, colorful and variety of Turkish Music and same time make sure that the whole world can take advantage of our cultural preciousness. So we started our projects with this mission and also part of our cultural vision; we are proud to have the results 8 years of hard working “Turkiye with Folk Music” which is completed and published 81 Albums honored by 81 Cities, In order to bring anthological world of art Turkish Islamic Music Archive Series “An Anthology of Turkish Islamic Music” which will be 116 albums when is completed, We unified Turkish Folk Music with western instruments and name it “Trace” Instrumental Archive Series which will be 50 albums when is completed, and also just started Sufi Music Archive Series with “Yunus’ca” . All of these projects are legible archive series and also honored as “Cultural Ministration” by Ministry Of Culture. “Ulus Group” attaches importance for cultural projects in the name of protecting and promoting our culture and signs many cultural projects that we can call one of a kind. We believe these marks can serve generations and help our history and culture to be known by our children and the world. We are proud to be part of this culture and doing our best to advertise our culture to the whole world with our productions.